Rent receipts are important documents. They are used to maintain a record of rent payments. The receipt is also referred to as a rental invoice. It is an important legal document in most countries. Each country has its own regulations for this document. It is also a good practice to maintain this record with you for future reference. There are various formats which can be used to create this receipt. The formatting depends upon the requirements. 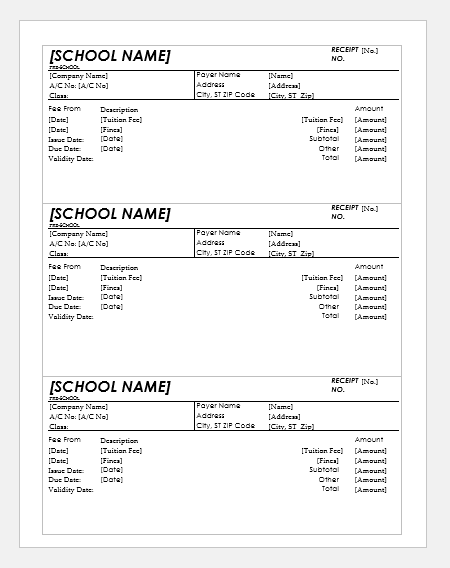 A rent receipt template can prove to be extremely useful. It can be customized to follow any type of format. Mostly, it is a single piece of paper containing all the required information. The size of the document depends upon the required detailed. The general layout includes a title, the address of the rented property, the payment dates and the amount of rent money. Important signatures are also included. In addition, the tenant’s address can also be mentioned. It can also be stated whether the payment has been made in the form of a check, a money order or cash. A check box can be used for this purpose. In this way, receipts can be created for every rent payment. 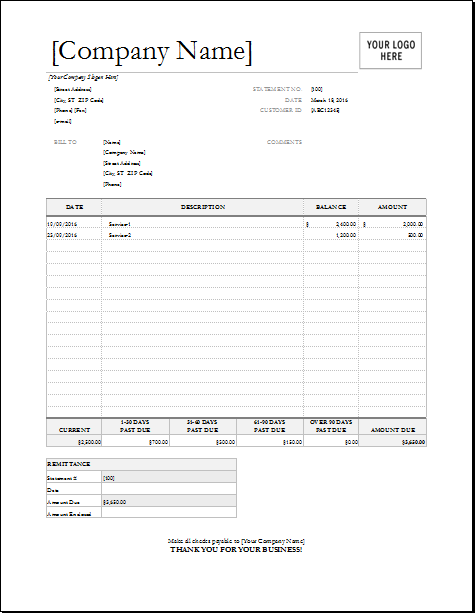 The same template can help you create receipts for various properties. It is a simple document which does not require complicated designing. Therefore, it can easily be created in no time. Using a template makes the job even easier. It will also be much quicker. 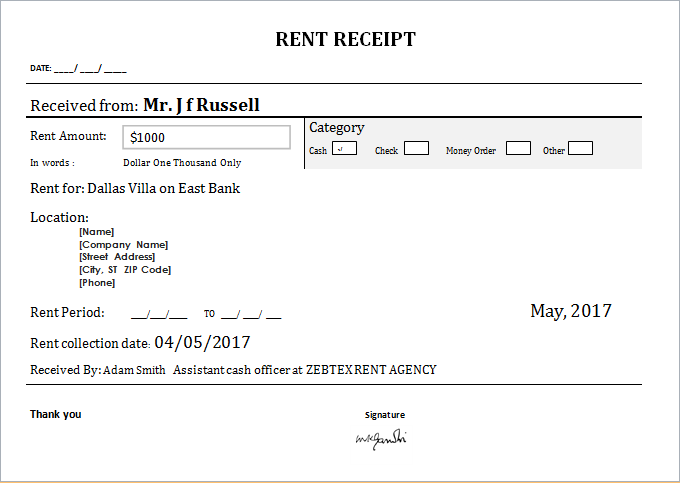 Therefore, use the rent receipt template and create your own receipts.